Michael B. Gerrard is widely regarded as one of the leading environmental lawyers in the United States. 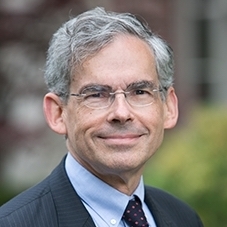 He is the Andrew Sabin Professor of Professional Practice at Columbia Law School, where he teaches courses on environmental and energy law and directs the Sabin Center for Climate Change Law. He served as Chair of the Faculty of Columbia’s Earth Institute from 2015 to 2018. Before joining the Columbia faculty, he practiced environmental law in New York City for nearly three decades, most recently as partner in charge of the New York office of Arnold & Porter LLP. His practice involved trying numerous cases and arguing many appeals in federal and state courts and administrative tribunals, handling the environmental aspects of numerous transactions and development projects, and providing regulatory compliance advice to a wide variety of clients in the private and public sectors. Professor Gerrard formerly chaired the American Bar Association’s Section of Environment, Energy and Resources. He has served as a member of the executive committees of the boards of the Environmental Law Institute and the American College of Environmental Lawyers. He is author or editor of thirteen books, two of which were named Best Law Book of the Year by the Association of American Publishers. He received his bachelor’s degree from Columbia University and his J.D. from New York University School of Law.